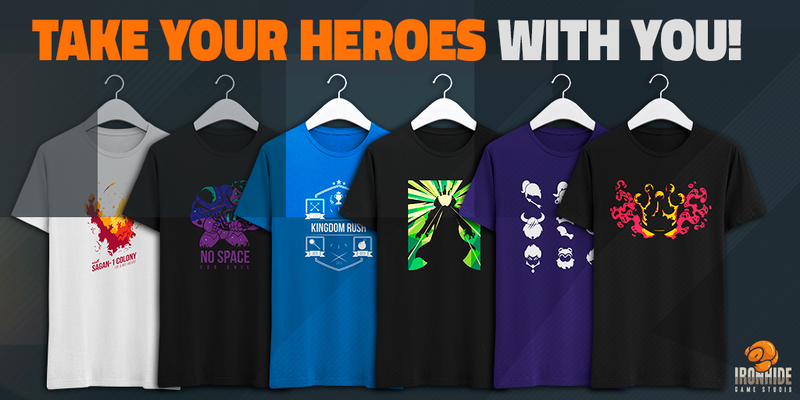 Starting today you can wear and take everywhere with you exclusive Kingdom Rush and Iron Marines' designs. This is our first step and we're aiming for much more. More designs and surprises coming soon!